Tonight!! 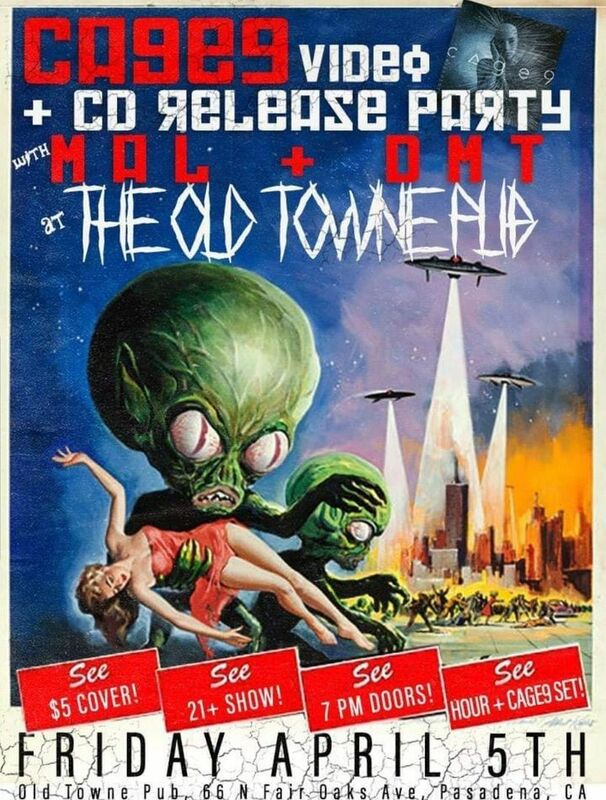 Cage 9 + MAL + DMT at Old Towne Pub in Pasadena!! Celebrate Cage 9's CD and new video release with us! Track to know when MAL is playing near you.